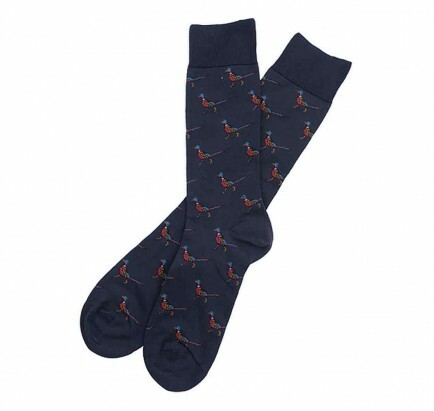 Unique and playful pheasant design socks. The Barbour Mavin socks are unique and playful. Mavin socks are made with a durable cotton mix yarn, featuring intarsia knitted country motifs and a heat-sealed Barbour logo on the sole. Sizes 6-8 and 9-11.